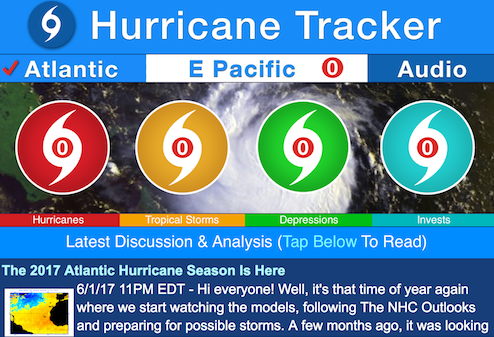 Use Hurricane Tracker On Any Device & Any Browser! 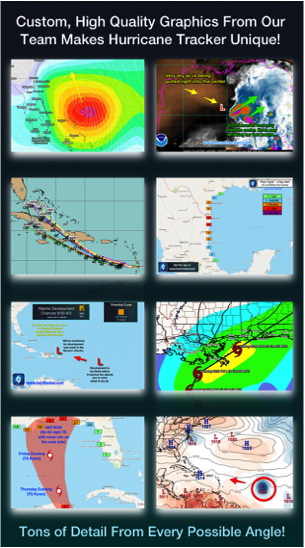 The most in-depth storm and model information on the web. Exclusive content from our team of experts. Login via your browser! Your purchase comes with online access, tropical email updates and SMS alerts! • Exclusive “Model Watch” section - check often to see what might develop next. Stay ahead of the storm! > Your registration email will contain links to enroll in our SMS Alert service and also a link to enroll in our email updates. > $5 yearly fee via PayPal. Cancel anytime. No obligation, a full refund will be given within 3 months if you aren't satisfied with our plus features! 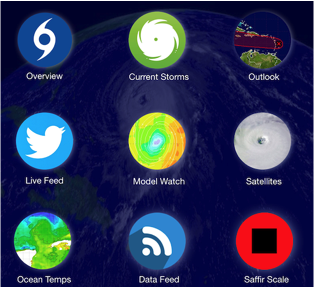 Stay one extra step ahead of the storm with the Hurricane Tracker App Online Plus Service!